Kubeadm is a tool which is part of the Kubernetes project. It is designed to help with the deployment of Kubernetes. It is currently a work in progress and it has some limitations. One of these limitations is that it doesn't support multi-master (high availability) configuration. This tutorial will go through the steps allowing to work around this limitation. For this lab, we will use a standard Ubuntu 16.04 installation as a base image for the seven machines needed. The machines will all be configured on the same network, 10.10.40.0/24, and this network needs to have access to the Internet. The first machine needed is the machine on which the HAProxy load balancer will be installed. We will assign the IP 10.10.40.93 to this machine. We also need three Kubernetes master nodes. These machines will have the IPs 10.10.40.90, 10.10.40.91, and 10.10.40.92. Finally, we will also have three Kubernetes worker nodes with the IPs 10.10.40.100, 10.10.40.101, and 10.10.40.102. We also need an IP range for the pods. This range will be 10.30.0.0/16, but it is only internal to Kubernetes. I will use my Linux desktop as a client machine to generate all the necessary certificates, but also to manage the Kubernetes cluster. If you don't have a Linux desktop, you can use the HAProxy machine to do the same thing. We will need two tools on the client machine: the Cloud Flare SSL tool to generate the different certificates, and the Kubernetes client, kubectl, to manage the Kubernetes cluster. 2- Add the execution permission to the binaries. 3- Move the binaries to /usr/local/bin. 2- Add the execution permission to the binary. 3- Move the binary to /usr/local/bin. As we will deploy three Kubernetes master nodes, we need to deploy an HAPRoxy load balancer in front of them to distribute the traffic. 1- SSH to the 10.10.40.93 Ubuntu machine. 4- Configure HAProxy to load balance the traffic between the three Kubernetes master nodes. These steps can be done on your Linux desktop if you have one or on the HAProxy machine depending on where you installed the cfssl tool. 1- Create the certificate authority configuration file. 2- Create the certificate authority signing request configuration file. 3- Generate the certificate authority certificate and private key. 4- Verify that the ca-key.pem and the ca.pem were generated. 1- Create the certificate signing request configuration file. 2- Generate the certificate and private key. 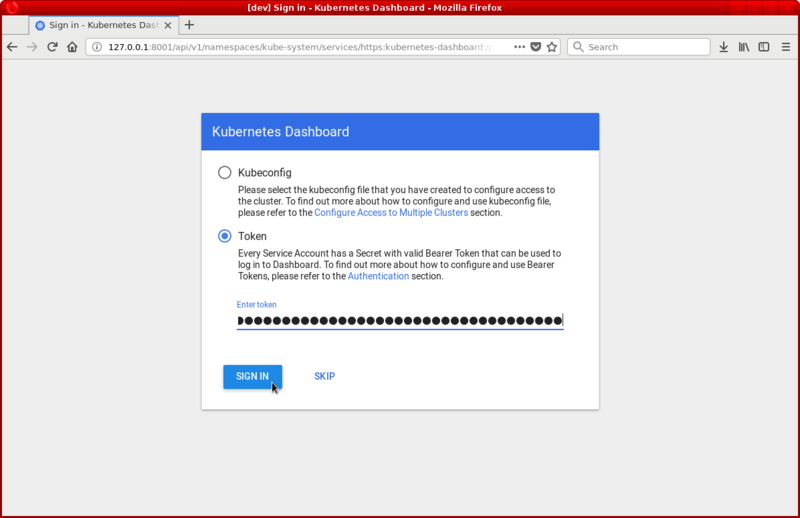 3- Verify that the kubernetes-key.pem and the kubernetes.pem file were generated. 4- Copy the certificate to each nodes. 1- SSH to the 10.10.40.90 machine. 3- Add the Docker repository key. 4- Add the Docker repository. 5- Update the list of packages. 1- Add the Google repository key. 2- Add the Google repository. 3- Update the list of packages. 4- Install kubelet, kubeadm and kubectl. 1- SSH to the 10.10.40.91 machine. 1- SSH to the 10.10.40.92 machine. 1- SSH to the 10.10.40.100 machine. 1- SSH to the 10.10.40.101 machine. 1- SSH to the 10.10.40.102 machine. 2- Create a configuration directory for Etcd. 3- Move the certificates to the configuration directory. 4- Download the etcd binaries. 5- Extract the etcd archive. 6- Move the etcd binaries to /usr/local/bin. 7- Create an etcd systemd unit file. 8- Reload the daemon configuration. 9- Enable etcd to start at boot time. 11- Verify that the cluster is up and running. 2- Create the configuration file for kubeadm. 3- Initialize the machine as a master node. 4- Copy the certificates to the two other masters. 2- Remove the apiserver.crt and apiserver.key. 3- Move the certificates to the /etc/kubernetes directory. 4 - Create the configuration file for kubeadm. 5- Initialize the machine as a master node. 6- Copy the "kubeadm join" command line printed as the result of the previous command. 2- Execute the "kubeadm join" command that you copied from the last step of the initialization of the masters. 2- Execute the "kubeadm join" command that you copied from the last step of the masters initialization. 1- SSH to one of the master node. 2- Get the list of the nodes. The status of the nodes is NotReady as we haven't configured the networking overlay yet. 2- Add permissions to the admin.conf file. 3- From the client machine, copy the configuration file. 4- Create the kubectl configuration directory. 5- Move the configuration file to the configuration directory. 6- Modify the permissions of the configuration file. 7- Go back to the SSH session on the master and change back the permissions of the configuration file. 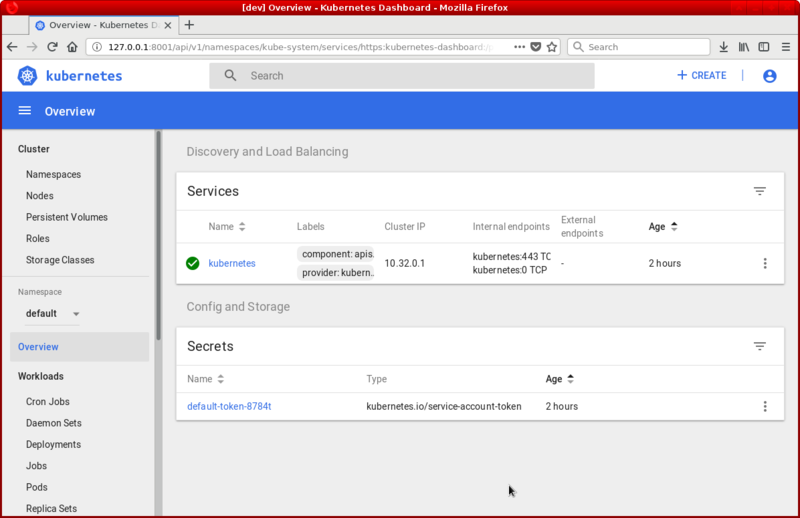 8- check that you can access the Kubernetes API from the client machine. We are going to use Weavenet as the overlay network. You can also use static route or another overlay network tool like Calico or Flannel. 1- Deploy the overlay network pods from the client machine. 2- Check that the pods are deployed properly. 3- Check that the nodes are in Ready state. We will deploy two Kubernetes add-ons on our new cluster: the dashboard add-on to have a graphical view of the cluster, and the Heapster add-on to monitor our workload. 1- Create a manifest for Heapster. 3- Edit the Heapster RBAC role and add the get permission on the nodes statistic at the end. 1- Create an admin user manifest. 2- Create the admin user. 3- Get the admin user token. 5- Start the proxy to access the dashboard. 7- Select Token and paste the token from step 4.